Since the weather started getting warmer, I noticed that the multiple basketball courts (2 full courts and 4 half courts) were always buzzing with activity. (if only I lived in New York when I was in my teens — finding games in suburban Michigan was painful for a kid that wanted to hoop 24/7). Today, I decided I was going to play at the courts for the first time. As I approached the park, I realized that playing outdoor basketball for the first time in New York was going to have to wait. The courts were locked and the basketball hoops that were there two days ago, were removed. 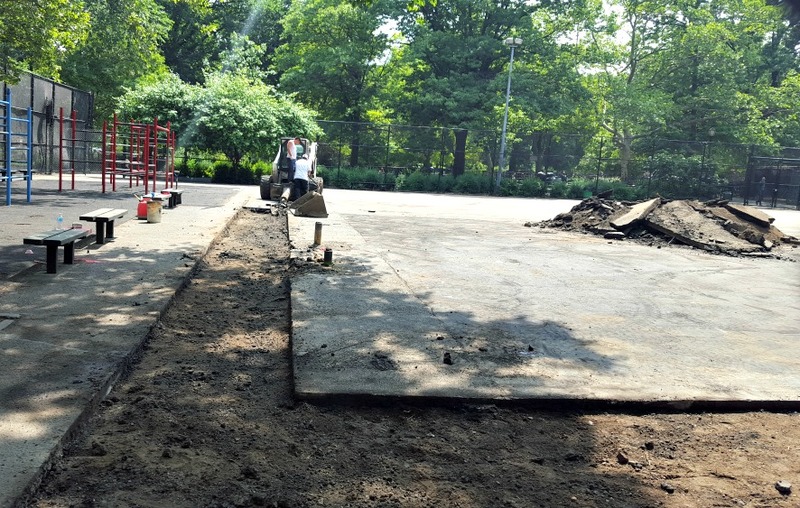 It was clear that the park started their renovations. 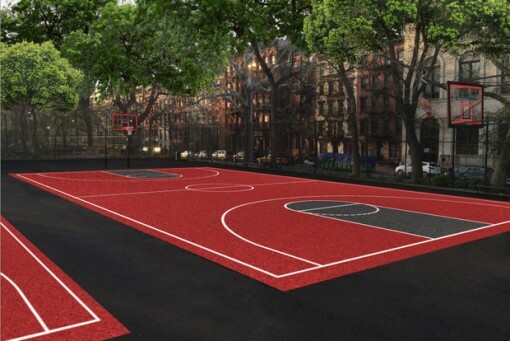 As someone that’s played his share of basketball on outdoor courts, these improvements look like a dream. Despite my decade-old preference for indoor gym (and disdain for dirty players, dirtier shirts, double rims and rims with no nets), the new courts at Tompkins Square has me excited to play outdoors again.